As part of the Marketing team at DNN, I collaborate with fellow team members on the management of our social media channels. 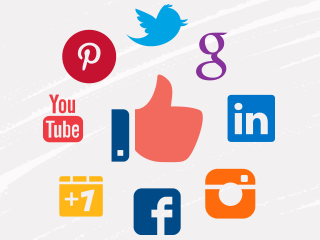 We manage quite a few social channels, including Twitter, Facebook, YouTube, Google+, LinkedIn and SlideShare. Our biggest challenge is managing across the channels to ensure that collectively, we’re meeting our business objectives (e.g. awareness, thought leadership, sales interest, etc.). 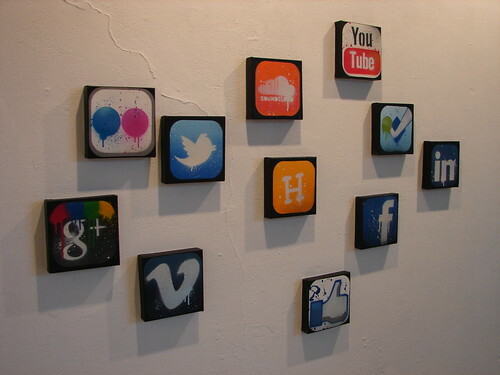 Here are seven quick tips for managing across your own social media channels. 1) Understand that each social network has a unique and distinct audience. Some users (especially your biggest fans) will follow you across your social channels. I estimate, however, that the duplication rate is no more than 30% in any given social network. In other words, 70% (or more) of your followers are unique to that social channel. Do NOT auto-post the same message to all of your social channels. I compare this to sending the same “Happy Birthday” greeting to friends, family and colleagues. Most of us know to craft a personalized message that’s unique for the birthday girl (or boy). The same is true on social media: the topic, content format and messaging should be selected and tailored based on the audience. At DNN, I find that content and messaging for our Facebook page needs to be distinct from the content we tweet on Twitter. 2) Use a feedback loop to inform future posts. Two words: observe and measure. On Twitter, figure out the types of content that gets the most favorites, mentions or retweets. On Facebook, compare the number of likes, shares and comments based on content topic and content format. On YouTube, determine the types of videos that receive the most views. You see a piece of content online and know (immediately) which channel to share it on. You may look to Twitter to generate awareness and “top of the funnel” sales consideration. You may look to Facebook to connect with customers and partners, providing them updates about new products or services. You may then look to LinkedIn as a recruitment site, where prospective employees receive company updates and peruse job openings. Once you identify channel-specific goals, they’ll guide your content and messaging within each channel. In addition, it keeps your activity focused and results in higher response rates. 4) Cross-promote channels where appropriate. Because each social channel is unique, I’m not recommending that you cross-promote frequently. However, some of your followers in one social network may not be aware of your presence in another one. So promote other channels from time to time (e.g. “Since you Like us here on Facebook, consider following us on Twitter”). In addition, when you run programs or campaigns within a particular social network, it’s in your interest to drive traffic to that program from your other channels. For instance, a contest on Facebook or a Hangout on Google+ could be promoted from your LinkedIn and Twitter pages. The death of email has been predicted many times over. And yes, younger generations (e.g. millennials), use email far less than other forms of communication, such as chat and texting. For me, email is still the primary means for reaching me – and that means that social network notifications work effectively when conveyed via email. For the DNN social channels, I’ll receive an email whenever someone mentions us on Twitter, adds (or mentions) us on Google+, subscribes to our channel on YouTube, follows us on SlideShare (and a few more). Since I’m “on” email throughout the day, they give me timely alerts and updates on social engagement. I call it “glue” because it binds together activity information across our disparate channels. 6) Track growth and reach across social channels. I have a simple spreadsheet that I maintain. It tracks our following and reach across our social channels. It gives me a convenient way to see which channels are growing and which channels are working. It’s very similar to investors who track their holdings: as securities rise and fall, you determine where to place further bets and where to take some off the table. 7) Experiment with paid advertising. Whether it’s SlideShare PRO, Promoted Tweets (Twitter) or Facebook Ads, experiment with paid advertising options available in each channel. So much content passes through social media passageways that your content is “missed” more often than not. I find paid advertising effective in magnifying the reach of our social content, both to those who want to hear from us and to those who want to hear from us, but just don’t know it yet! I’ve found that the expanded reach of our content has the nice side effect of generating new followers at the same time. Management of multiple social media channels can be challenging. I accept the challenge, however, and have a lot of fun being part of the team that executes on it. At times, it can surely seem like a juggling act. I hope you found some of these tips useful – if you can apply just a few of them, you’ll be able to keep juggling while adding a few more balls in the air. I presented a webinar, “Social Media Optimization: 10 Tips in 30 Minutes.” I provided tips on how to optimize your social media channels. Are you on Google+? Feel free to add me to your circles.